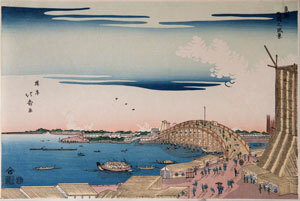 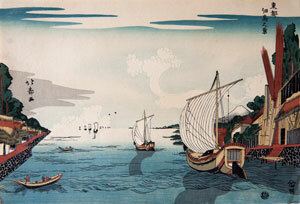 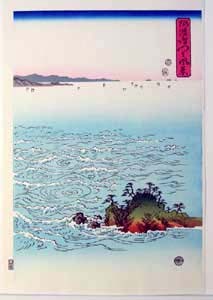 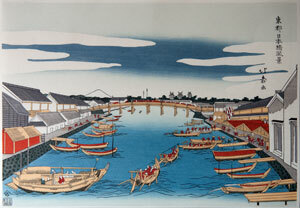 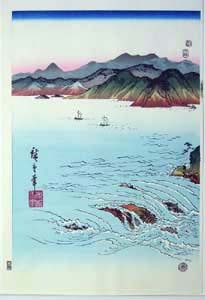 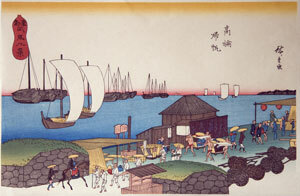 Before 23 October 1868 - in a period called the Edo era (1603-1868), referring to the fact that the capital of Japan (Tokyo) was then still called Edo - Japan had isolated itself almost completely from the outside world, thus allowing its culture and art to evolve in a most idiosyncratic fashion. 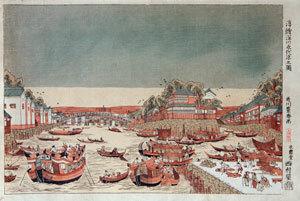 Apart from China and Korea only a very small delegation of people from the Netherlands - relegated to the island of Deshima located in the harbour of Nagasaki - were allowed to trade with Japan at that time. 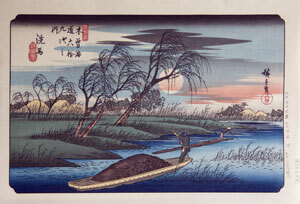 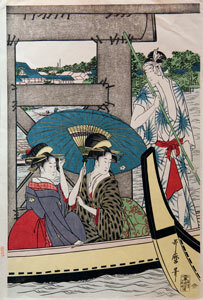 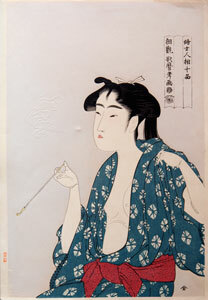 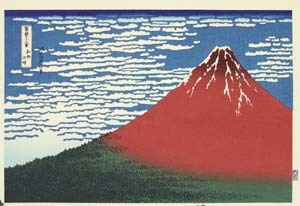 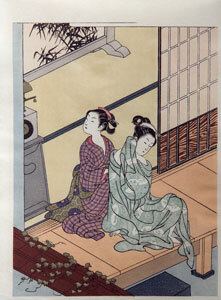 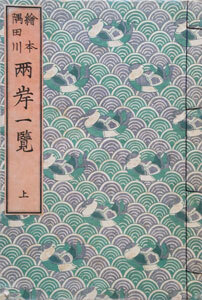 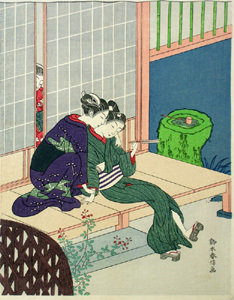 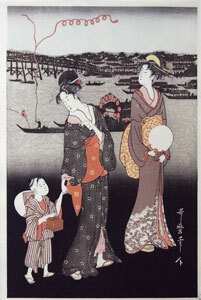 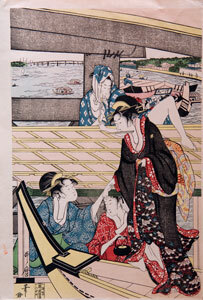 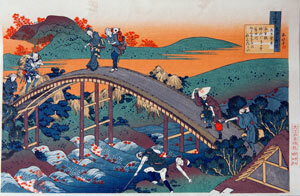 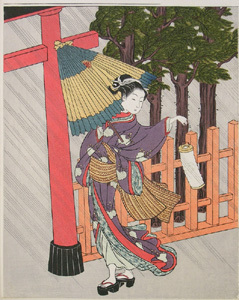 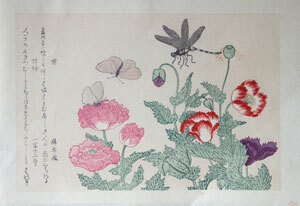 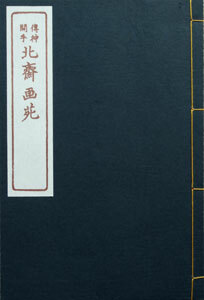 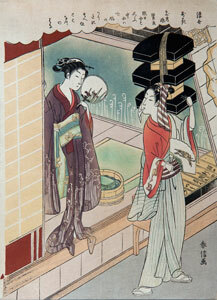 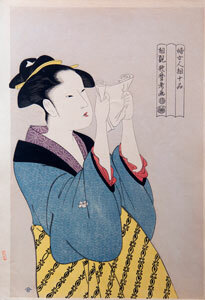 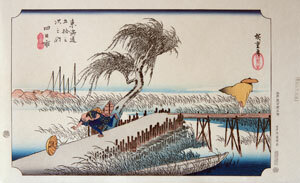 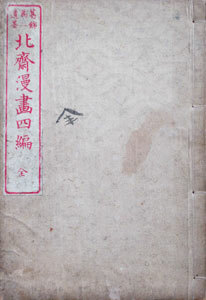 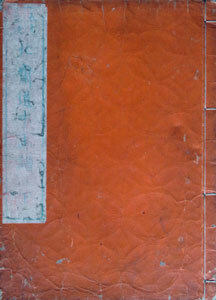 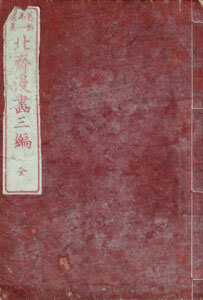 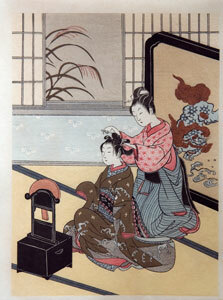 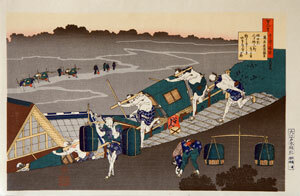 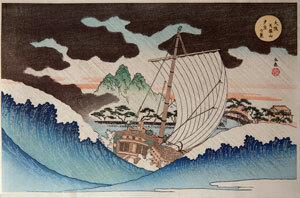 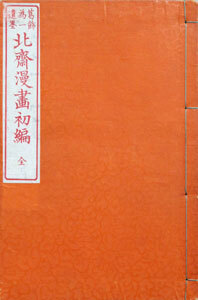 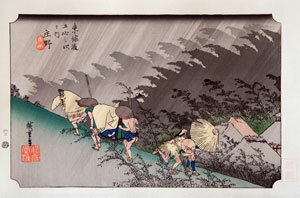 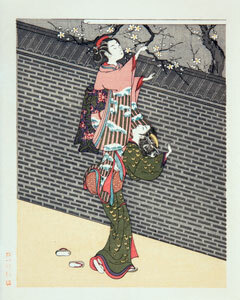 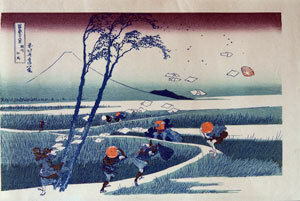 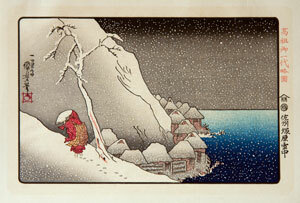 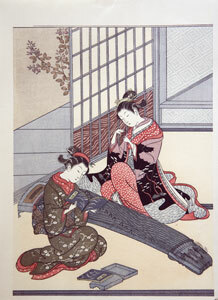 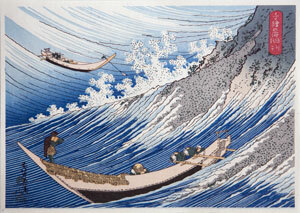 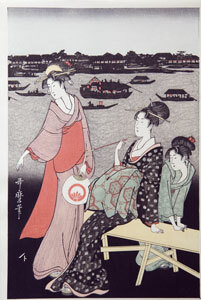 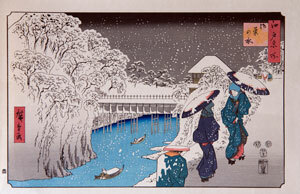 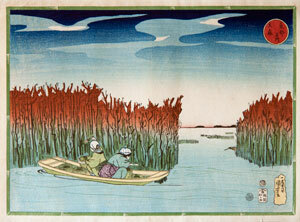 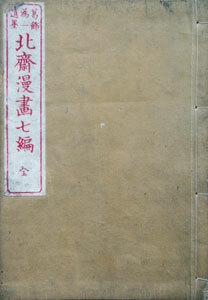 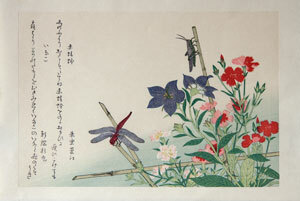 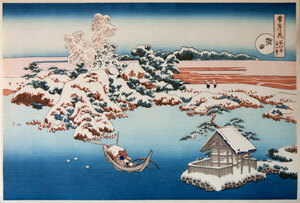 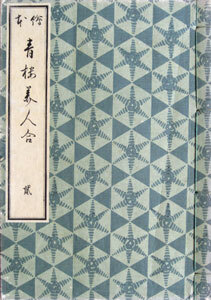 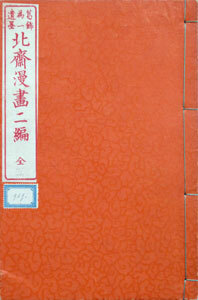 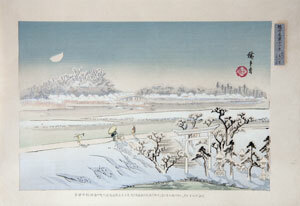 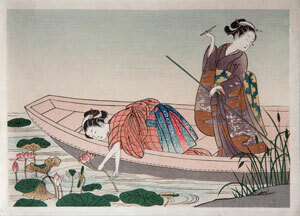 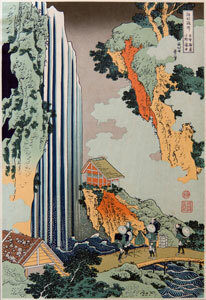 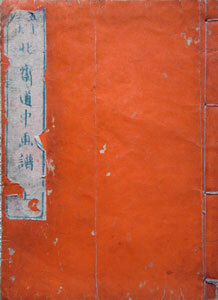 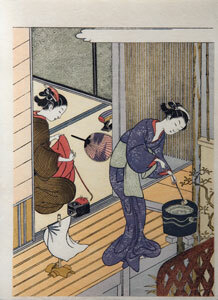 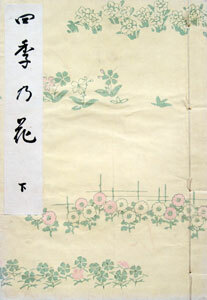 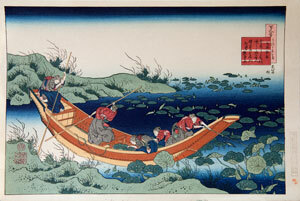 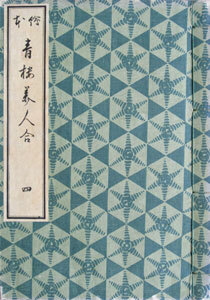 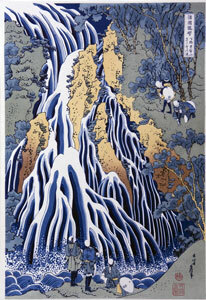 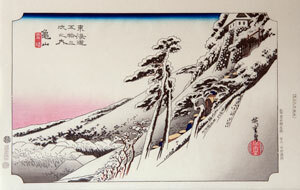 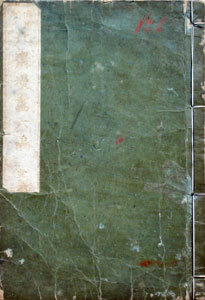 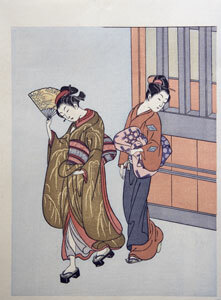 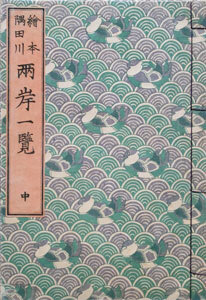 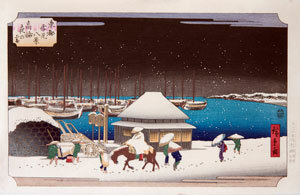 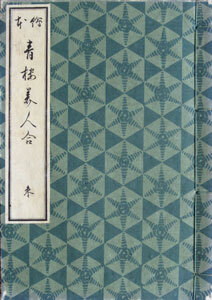 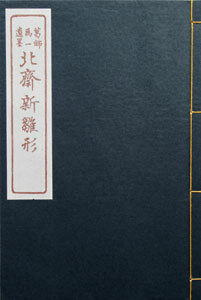 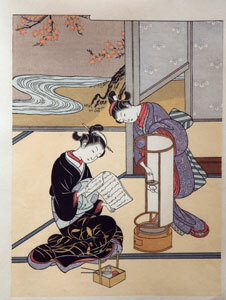 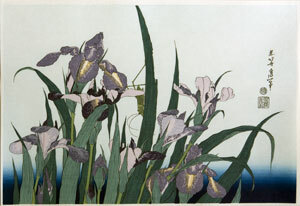 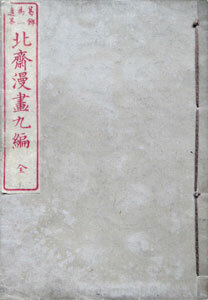 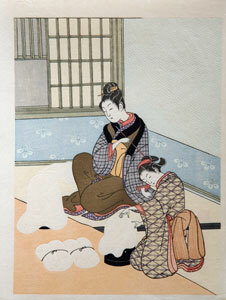 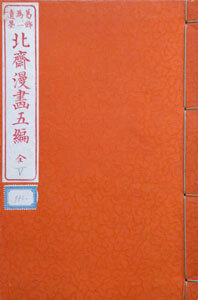 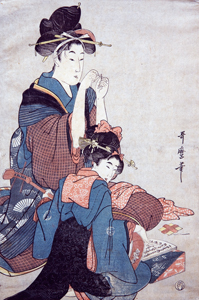 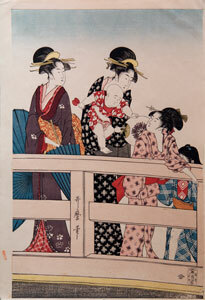 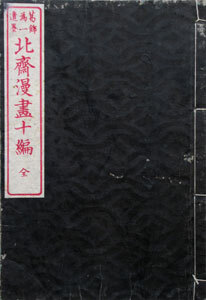 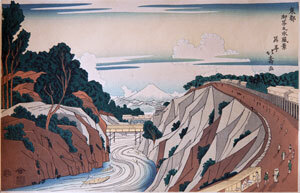 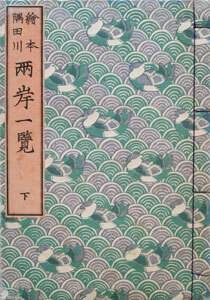 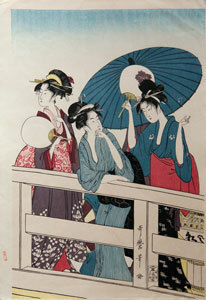 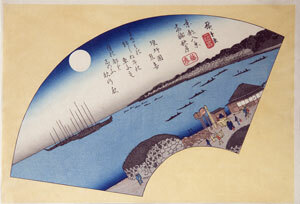 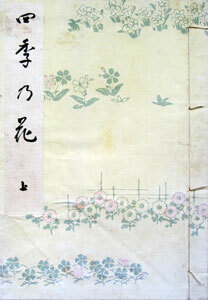 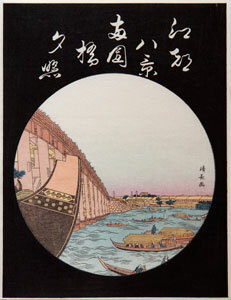 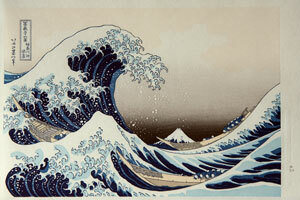 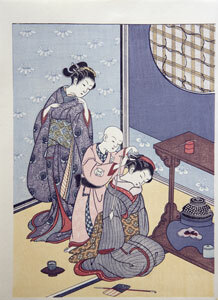 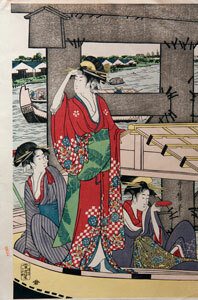 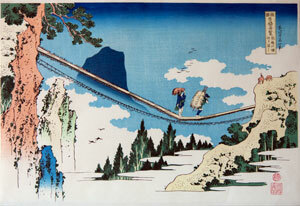 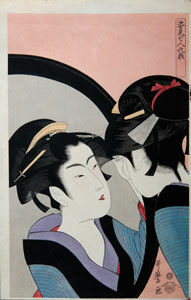 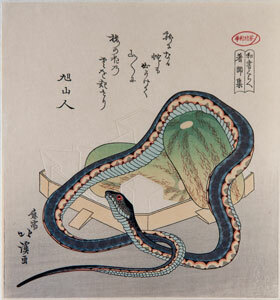 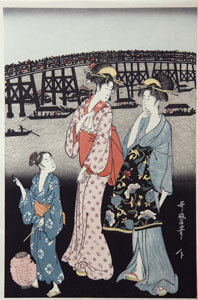 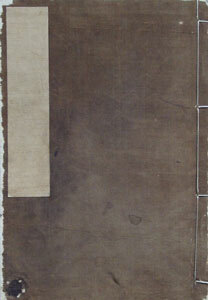 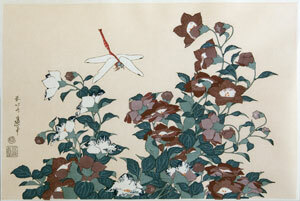 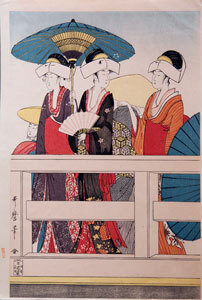 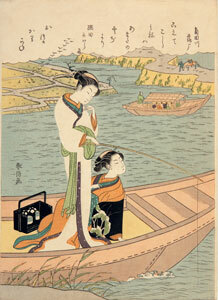 The prints and illustrated books shown on this page were all originally designed during this time of Japanese history. 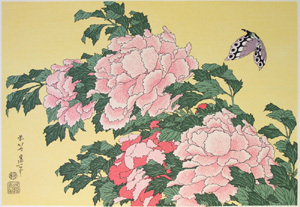 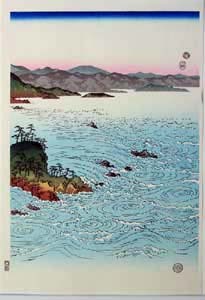 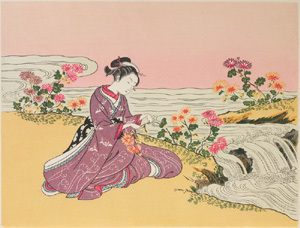 Click on any of the images shown below to find out more about these prints and illustrated books: their size, publication date, provenance, enlargements, the English translation of the Japanese texts on each print, et cetera.